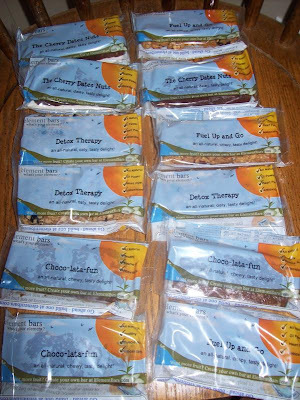 Element Bars sent me some of their awesome custom energy bars for review. 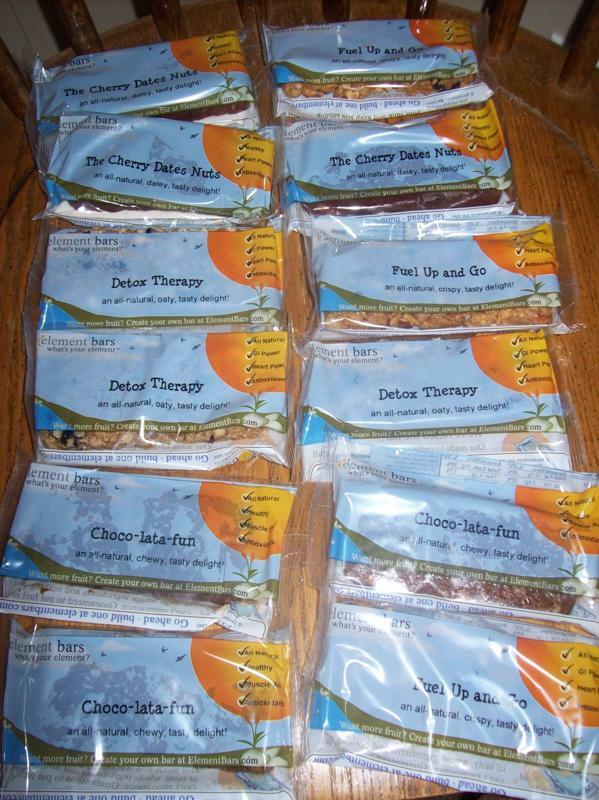 My favorite one that I tried was the Detox therapy bar which is only 170 calories. It has oats, fiber, blueberries, and pumpkin pie spice. I was not a big fan of the Cherry Dates Nuts bar because it was a little too date-y for me. This company is very awesome though because you can choose exactly how you want your bars made. First, you choose the core of the bar such as oats, dates, etc. Then you pick which kind of dry fruit that you want. Then, you choose your nuts, sweets, and boosts (protein, fiber, omega 3, etc). This way, you get to have a bar that you really will like. Also, it shows you how many calories the bar is which is great too if you are watching your weight. The bars are all natural and full of antioxidants. These bars are also great if you are an athlete for fueling up before or after a workout. Thanks Element Bar for sharing your customized bars with me! They also sent me these and my favorite was the fuel up and go. Only thing I wish the cherries wouldn't have been so dominate in this bar. Would of loved if the bar had more of the peanut butter flavor in it. Plus, for me their a local company was it was good to try a product from my area.